The Four Pillars of Politics provides a uniform foundation for evaluating political campaign strategies. The four pillars identified in this book-fear, national narcissism, consumerism, and religion-serve as attitudinal anchors that American voters use in making their voting decisions. The dominant pillar may change from election to election, leading to situations in which a candidate who wins in one election may be defeated four years later. Kitchens and Powell examine how political communication is understood by combining these four pillars with the related matrix of attitudes, beliefs, and values that are integral components of the American culture. 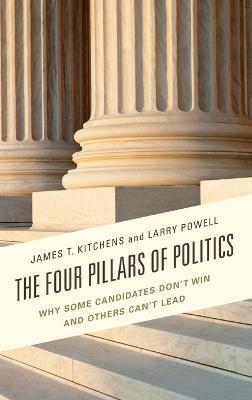 The Four Pillars of Politics will appeal to scholars of political science, communication studies, and journalism. James T. Kitchens is president of the Kitchens Group, a national public opinion research firm. Larry Powell is professor in the Department of Communication Studies at the University of Alabama at Birmingham.